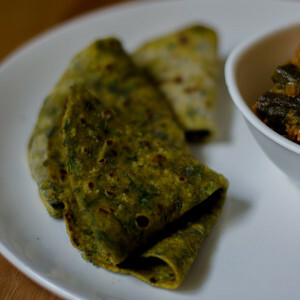 Palak Chapati / Chapati with Spinach. 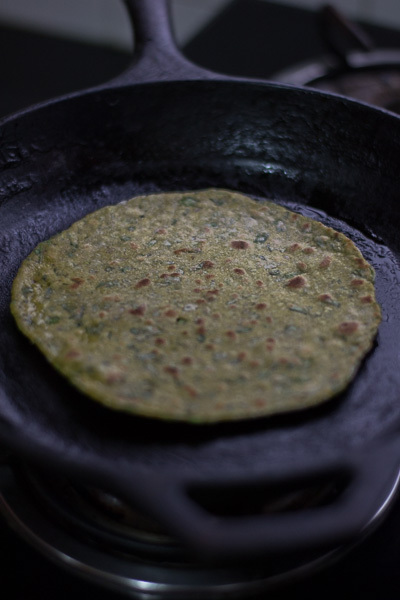 Palak Chapati, Spinach Chapati Recipe. Flavorful Palak Chapati recipe for Indian Palak spinach chapathi. Recipe for soft chapati that’s flavorful. With step by step pictures. This is just an excellent variation from the regular chapati or roti we make at home. Addition of spinach makes the dough soft and the resultant Palak Chapati stays soft after a long time. 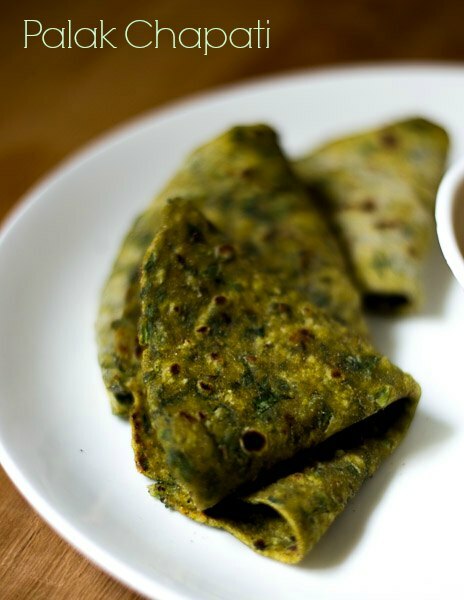 Palak Chapati is an easy way to add more greens daily. I add some spices while making the dough and rest the dough for 30 minutes before cooking the chapatis. Resting the dough results in an amazingly hydrated dough that results in soft and tender Palak Chapatis. 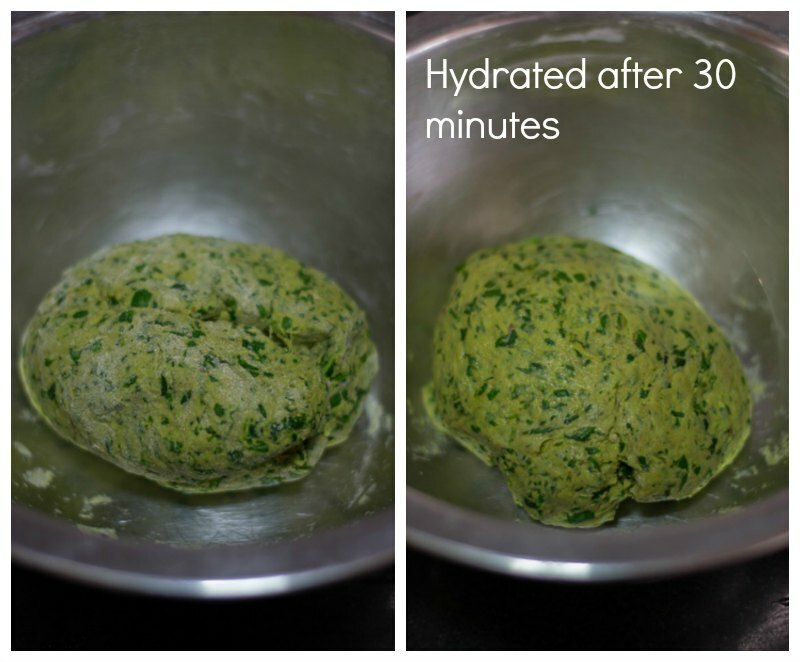 Here is how to do Palak Chapati. 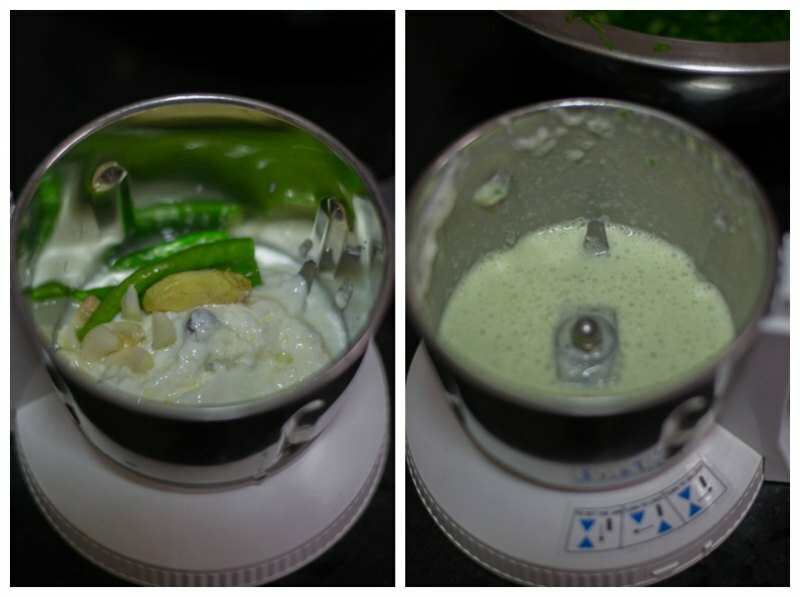 Make a paste out of yogurt, ginger, green chillies and garlic. Set aside. 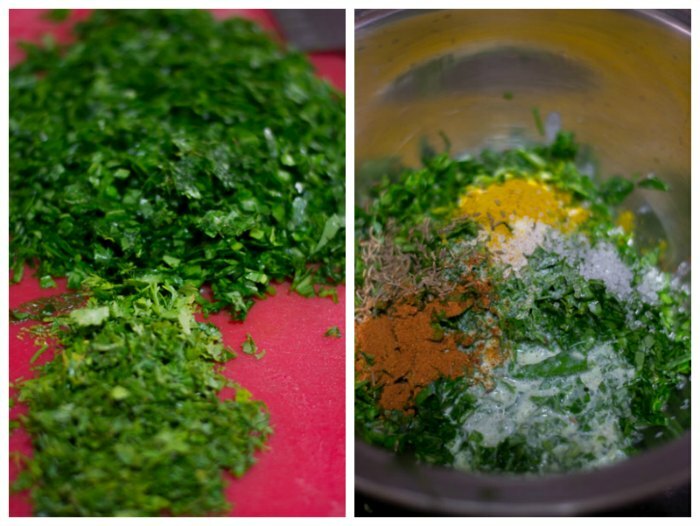 Pick and clean the spinach leaves and coriander leaves. Chop them finely and set aside. Take a bowl and add in the greens, cumin seeds, turmeric, asafoetida, yogurt paste, salt and red chilli powder. Add in the whole wheat flour. Don’t add any water. The yogurt and the moisture from the greens should be enough. Add water only if its really dry. Make a very stiff dough. the dough has to be very stiff. The dough will become soft during the 30 minute rest. The spinach will give out moisture during the rest. 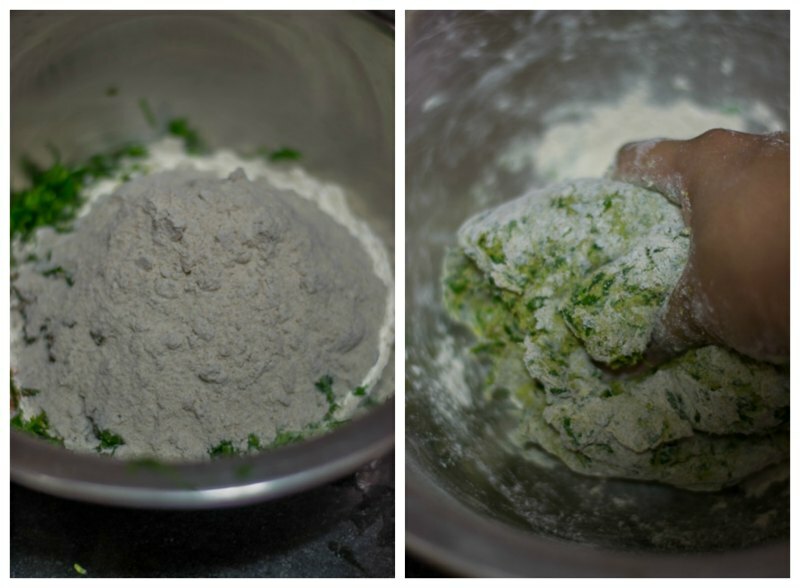 So very STIFF dough is key for Palak Chapati. Cover the dough with a lid and let it rest for 30 minutes. The dough becomes very smooth after the 30 minute rest. Divide the dough and make into small dough balls. Dust the dough balls in a lot of flour. Roll Palak Chapati dough into thin sheets / rotis. In the mean time heat a griddle on medium flame. 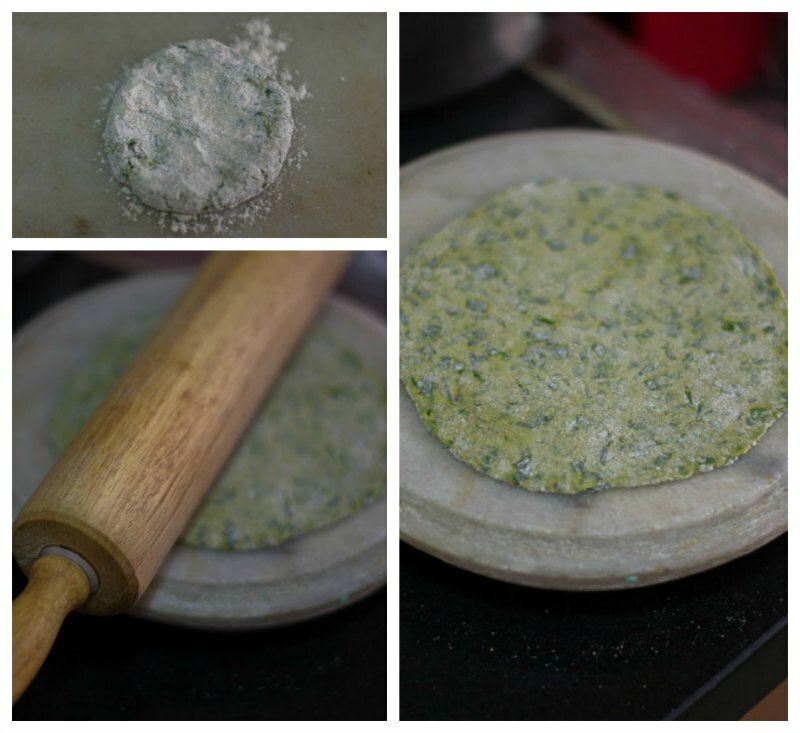 Flap the Palak Chapati between your hands to remove any excess flour, place it on the griddle. Wait for some small bubbles to form. 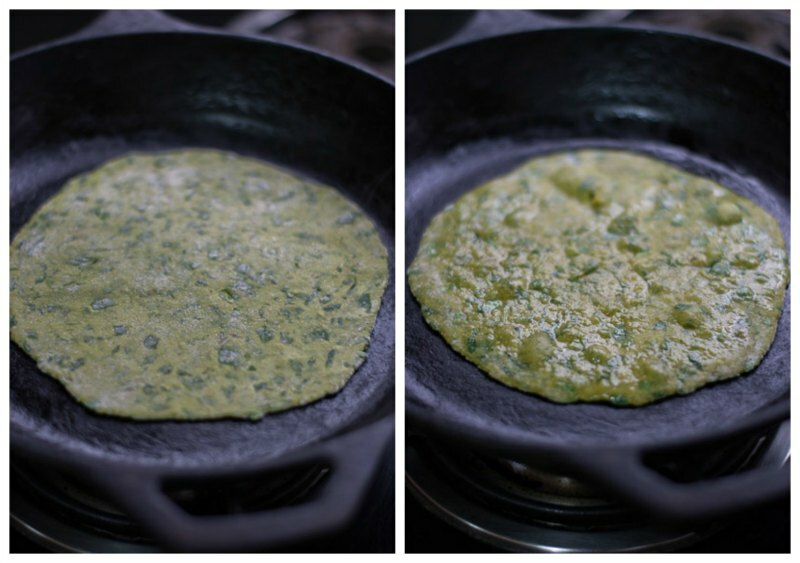 When some small bubbles form, spread some oil on the Palak Chapati and flip. Palak Chapati should start to puff up. Press down on the edges of the chapati with your spatula and cook till both the sides are evenly brown. Serve hot. 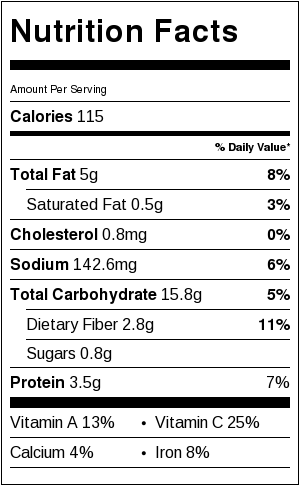 ½ teaspoon red chilli powder. Add in the flour. Dont add any water. The yogurt and the moisture from the greens should be enough. Add water only if its really dry. Make a very stiff dough. Cover the dough with a lid and let it rest for 30 minutes. 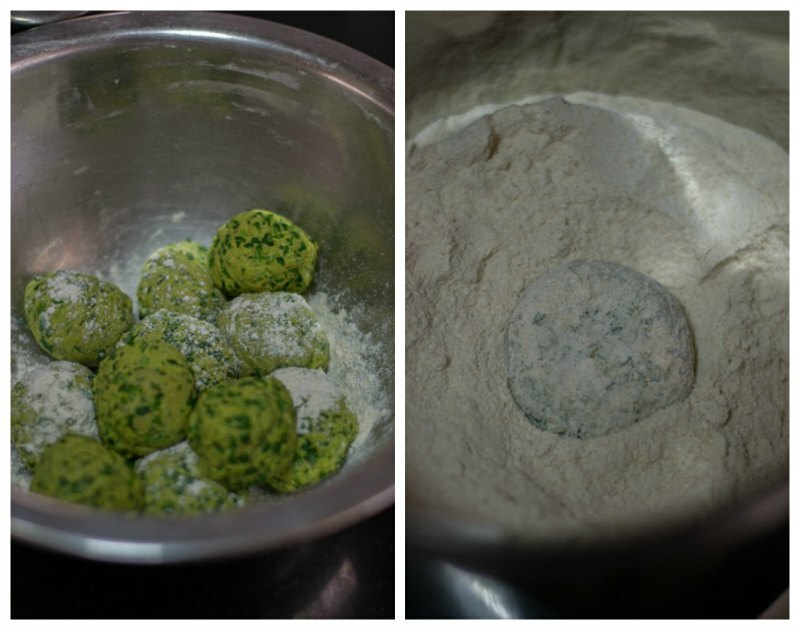 Divide the dough and make into small dough balls. Dust the dough balls in lot of flour. Roll it into thin sheets / rotis. In the mean time heat a griddle on medium flame. Flap the chapati between your hands to remove any excess flour, place it on the griddle. Wait for some small bubbles to form. When some small bubbles form, spread some oil on the chapati and flip. It should start to puff up. Press down on the edges of the chapati with your spatula and cook till both the sides are evenly brown. Serve hot. The chapatis were very soft. Thanks. will post one soon Dilna! Hi what can this be served with ? Any curry/kurma. I like it with veg kurma or vellai kurma. Can use any variety of keerai ? Or should be only palak?? ?